I’ve read that no great work can be done without knowledge. They say knowledge is power. My own path towards enlightenment and empowerment has led to both personal and communal healing through two of the most powerful tools we know: storytelling and sharing. My first few steps down this particular path started in the spring of 2015, as the thick ice of the Winisk River began to break up and flow past my hometown of Peawanuck, ON. It was then I signed on with the Indigenous Reporters Program. Peawanuck, located 32 kilometres upriver from Hudson Bay, is one of 13 remote First Nation communities in northern Ontario where the program, developed by Journalists for Human Rights (JHR), has operated to date. Journalism has, for me, become a very empowering tool, through which I create and share my own stories with my neighbours, community and across Canada. Journalism offered new knowledge, an opportunity to build on my own skills, and be a part of the changing landscape of Canadian media — a landscape that is slowly beginning to reflect the true history and demographics of Canada and contribute to the healing of a nation. I did not always see the bigger picture or the critical role Indigenous journalists can play in supporting reconciliation by sharing their stories from their perspectives. Signing up, I thought it was just journalism theory, but within a few weeks, with hands-on training, we were already sharing stories and discussing the potential positive impact journalism can have. Over the past six years, JHR has completed two studies under the name Buried Voices focusing on the coverage of Indigenous peoples, culture and issues in Ontario media. These studies have found that the Indigenous population has been drastically underrepresented and misrepresented. Between 2010 and 2013, a cumulative average of only 0.28 per cent of all news stories produced by online and print media contained content about Indigenous peoples, while the Indigenous population in Ontario represents about 2 percent of the province’s overall population. In 2013, the report showed 39 percent of Indigenous stories had a negative tone, with most stemming from editorials and columns published during the Idle No More movement. This comes as no surprise to Duncan McCue, a long-time CBC reporter and host of CBC Radio’s Cross Country Checkup. McCue is a member of the Chippewas of Georgina Island First Nation and has been working as a journalist for over 15 years. For McCue, it has been discouraging to repeatedly hear the excuses newsrooms offered up to avoid covering Indigenous peoples and issues: Indigenous stories didn’t attract an audience, people were not interested, or it was the same story all the time. “It’s no wonder non-Indigenous people often have stereotypical notions about Indigenous people if they aren’t getting stories about Indigenous peoples in the media,” McCue said in our interview outside CBC headquarters in Toronto. 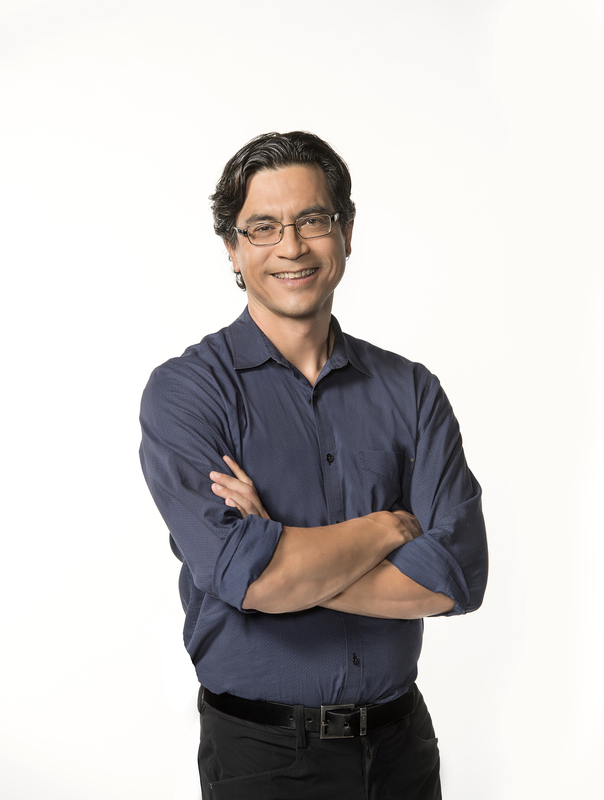 Conversely, McCue has witnessed dramatic change in the last three years with the creation and growth of CBC Indigenous, and platforms supporting Indigenous stories. From 2013-2016, the tone in coverage started to shift from a primarily negative tone in 2013 to a largely neutral tone. Notably, there was also a slight increase in stories about Indigenous peoples and issues, reaching 0.5 per cent of all stories published in Ontario in 2016, as noted in JHR’s most recent report. Looking back to the Idle No More movement, which started in 2012, social media played a huge role in coverage and momentum, with journalists and storytellers bypassing mainstream media to get the stories out. McCue said he recalls Indigenous peoples tweeting and using Facebook relentlessly to share stories about the movement. More recently, the same can be said about the coverage of the Unis’tot’en Camp and Muskrat Falls, as well as demonstrations against the Dakota Access Pipeline. A similar pattern occurred with Missing and Murdered Indigenous Women. Stories were shared on social media, primarily by Indigenous activists and women’s organizations, before mainstream media finally caught on. “What ends up happening is that through the force of social media sharing, mainstream media is following along,” McCue explained. At Canada’s national broadcaster, it was a year after the Idle No More movement started that the digital platform formerly known as CBC Aboriginal, now CBC Indigenous, was born. Canadian media rightly includes more Indigenous journalists, storytellers and Indigenous publications like APTN and Wawatay News, as well as newer platforms like Red Rising Magazine and Working It Out Together. 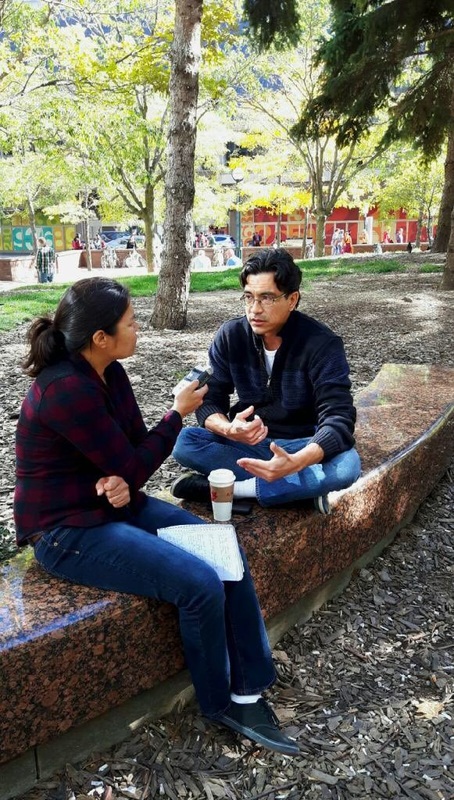 While many Indigenous journalists have already pushed through the barriers, community-based training such as the Indigenous Reporters Program will only help the cause. And more than ever, media outlets and non-profits are offering internships and scholarships, supporting a new generation of Indigenous journalists. Stories of and told by Indigenous peoples hold knowledge deeply rooted in culture, tradition, and trauma, and they have the power to heal and redefine our people and history. Understanding is coming, reconciliation is on its way, slowly but surely. And it all starts with telling our own stories. Pam Chookomoolin is a mother of two and a journalist from Peawanuck, Ontario, who recently completed Journalists for Human Rights’ Indigenous Reporters Program and now publishes in various newspapers and magazines. 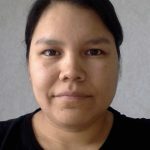 She also works for Weenusk First Nation as a Diabetes Prevention Worker, is a member of the 3rd Canadian Ranger Patrol Group,and is an avid volunteer for her community.